Only when we understand how protected, how beneficially limited we are, in our sacromagical work, can we begin to be truly effective. In the classical magical worldview, such wise limitation is often associated with the North, the cosmic Laws of Being the element of Earth. Such limitations associated with Earth require that to take form we must limit force. It's a point well made that often isn't as appreciated as it could be. Limitation has value as a principle precisely because the movement from potential into reality involves the focus of force into the creation of form. Magic isn't about tossing fireballs or levitating. It's about the focus of force to create measurable results or changes within a person's life, but even change is limited to some degree by the physicality in which it is expressed in. The realm of ideas is also the realm of endless possibilities or chaos. Nothing is true and everything is permitted, but without limitation all that exists is endless potential. The change from possibility to reality involves some form of limitation. This is why a magical working is really a descriptor and definer of the possibility being brought into reality. In other words, a magical working in and of itself limits the expression of possibility into specific results. The benefit of this is that you achieve a specific result that can be applied to your life, other people's lives etc. The more improbable your possibility, the harder it is to bring into reality, for the simple fact is that it requires more "energy" to overcome the distinct limitations that we deal with on a practical level. At a certain point the exertion of so much "energy" becomes more and more impractical. Limitation provides an awareness of boundaries, but also provides the magician something to strive for, in terms of bending the rules. While force must be limited in order to manifest form, drawing on force is necessary to create form. Potential doesn't become reality unless force is applied to potential. The realization of form, or the result, is due to the application of force to potential, shaping it, defining it, limiting it, and thus creating form. Force is needed to create form, but the application of force necessarily is a fixation on a specific form or result. Limitation, in and of itself, is a form of force, in the sense that the limits we encounter actually serve to create possibilities that we can interact with. Sheer potential, which has no limitation, can't really be worked with, until some form of limitation is imposed on it. A blank sheet of paper is raw potential, but once you draw a line, you've limited the potential and started to create the form. The limitation of potential still creates possibilities, but those possibilities are defined by the limitation, and have a relationship with it. The exploration of that relationship is what allows a magician to discover possibilities and begin to move them from potential into reality via magic. This was a fascinating book to read because of the information it provides on the brain in general, as well as what occurs as your brain ages. The author provided useful advice for keeping your brain sharp as you age and reducing the risks of Alzheimers and Dementia, as well as explaining what types of activity keep the brain stimulated. What I enjoyed the most was how the information was presented without a lot of technical terms or jargon. Anyone could pick this book up and learn a wealth of information about the brain and how it works as well as how aging effects it. Although I've already written the first draft of my new book, I'm still continuing to do research on the neuroscience of the brain (one of the books I've recently read is reviewed below). It's a fascinating subject for me, even without writing a book, but writing a book does shape a lot of the reading and experimentation I'm doing. What interests me the most is how much a person's sense of self is wrapped up in the brain and how easily that can be changed by an accident, stroke etc. It demonstrates just how fragile a personality is...its based on biological realities as much as on any metaphysical sense we attribute to it. A lot of my work with the brain has involved being able to go in and interact with the neuro-chemistry in order to effect desired changes in personality. For example, no longer having to suffer a mental disease such as depression involves making changes to the biological aspects of depression. 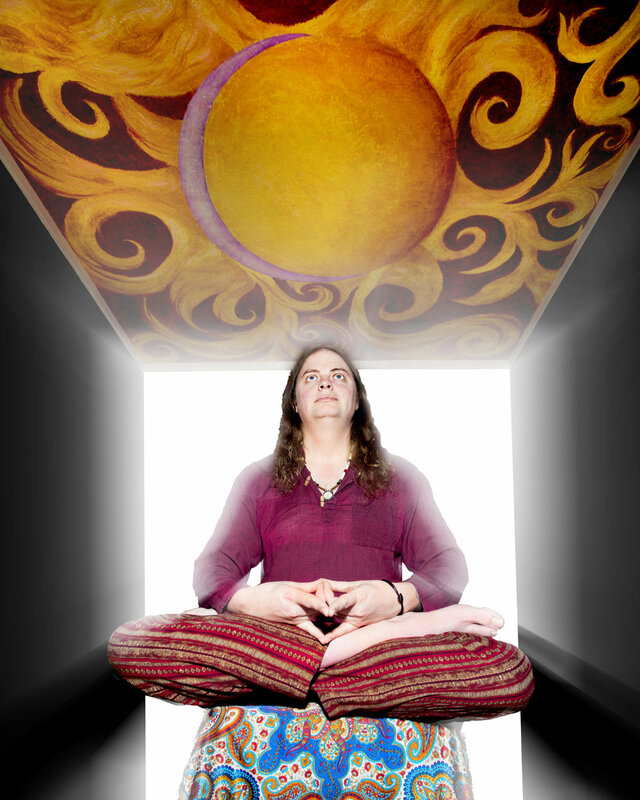 Some people accomplish this through drugs...my preference has been targeted meditation work with neurotransmitters. The brain is adaptive enough when it comes to doing such work, because it naturally has the capability to change, thanks to neuro-plasticity. Nonetheless making such changes has to be done carefully and one of the reasons I've read up so much on neuroscience, is to understand the mechanisms of change that are already incorporated in the brain. Even knowing that information, I think its important to carefully experiment with desired changes you want to bring to your brain. It's also important to recognize that what we know about the brain is still not entirely accurate. Not so long ago, there was a belief that the functions of the brain could be mapped to specific parts...while there's some truth to that, there's also a lot of truth that functions don't solely belong to a specific area, but are shared in part by the neural network and specifically how it shares information across the network. Experimentation needs to be done cautiously, with a recognition that in someways all we have is an idea of how the brain works. We can test that idea...we can experiment with it, but we also need to acknowledge its limitations and recognize that experimentation will take us off the charted edge to the unknown space, with all of its mysteries. Experimentation should challenge us to go into the unknown, while research grounds us in information we can use to push ourselves toward that unknown space. What we bring back from the unknown space is more information, to provide further grounding and a better sense of what we can do with what we have. I recognize my magical work with my brain will likely never be perceived as scientific or as valid as what actual neuroscientists do in their studies, yet I also know it has brought desirable changes into my life, improving the quality of my circumstances, and that others who have followed my work have also benefited. That's the real test for the magician...not if something fits acceptable scientific paradigms and knowledge, but rather if you can take it, obtain a result, and then share it and help others achieve similar results. Sometimes magicians forget that in their fervor to "scientifically" fit-in with the dominant paradigms of acceptable thought. To them and all others I urge: Take what you can from the system, but don't restrict yourself to what others have told you...try it out yourself, test through your own experience and let that be your record and great work. In this book, the author explains what mirror neurons are and presents a variety of case studies on them as well as discussing various neurological diseases and what causes those diseases. He also discusses the connection between linguistics, art, and neuroscience. This book is fascinating and the author presents compelling cases. More importantly, he helps the reader understand some of the science in neuroscience with stories and examples that provide context to the science he is explaining Overall a really good book on a fascinating topic. I've been sick lately, a weird kind of flu where my temperature has gone below the usual temp. It's not a fever, but the result is I still feel sick. Never being a person to turn aside opportunity, I've been working on a technique to deal with illness that I've been using for a little while now. It's worked to actually stop a fever in the past from developing, and in this case has been used to mitigate the current sickness and speed up the healing. The technique is based off a video game called Microbots. In that game you are a microbot sent into a body to heal it by getting rid of the virus that is in the body. The developers of the game created a stunning environment that looks like the biology of the body. Useful for visualization purposes if you're doing work to contact neurotransmitters, but also useful if you want to combat a fever or flu, especially if you want to use the microbot for that purpose. When I feel sickness coming on, or in this latest case, when I'm in the midst of experiencing it, I'll meditate before resting and create a health servitor that will go in and start combating the sickness, while also offering support to the natural systems already in place. My microbot servitor is equipped to not just fight the sickness, but also comes with healing tools that can be used to heal the body, where needed. I like drawing on pop culture for inspiration, and the microbot game has proven to be the perfect inspiration for this work, because its provided a model of internal work I can use with my body. 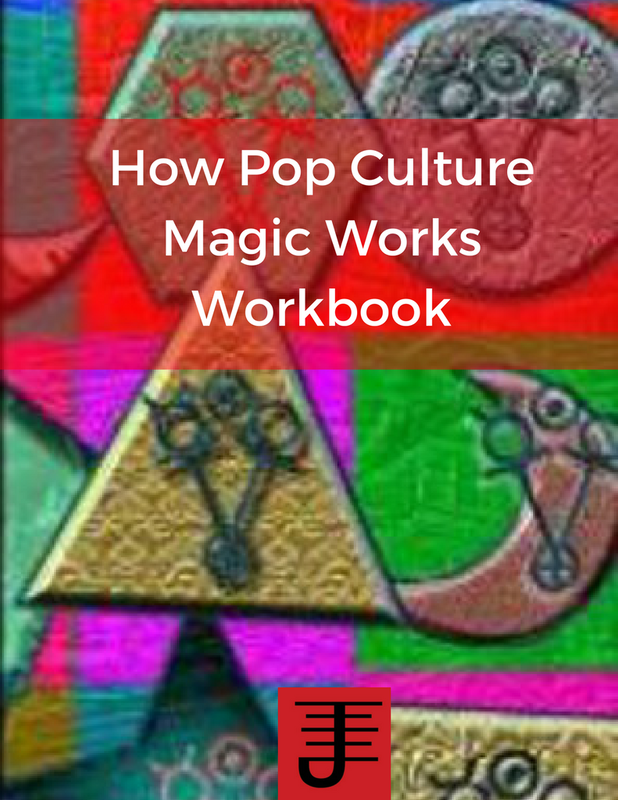 It demonstrates the importance of drawing on such inspirations for your magical work. I can't say I've found anything else that provides such a useful tool for health and healing work. I'm going to continue experimenting with it, and will be sure to share details either here, or in Neuro-Space/Time Magic. On May11th I'll be teaching the Neurotransmitter Entity class, and we'll be meeting for 3 weeks via a teleclass to learn about how to work with Neurotransmitters and other aspects of the human body. It should be an exciting class and if you haven't signed up yet, I invite you to, as it's an opportunity to explore your relationship with your body from a different angle. I find the body to be a universe all its own, complete with mysteries. This class provides techniques that can help you start to unravel the mysteries of that universe and develop an entirely new relationship with your body. Most importantly it's an opportunity to have some experimenting with magic and seeing what you can learn about yourself in the process. If you haven't signed up already, click on the link above, or this one here and RSVP for the class. 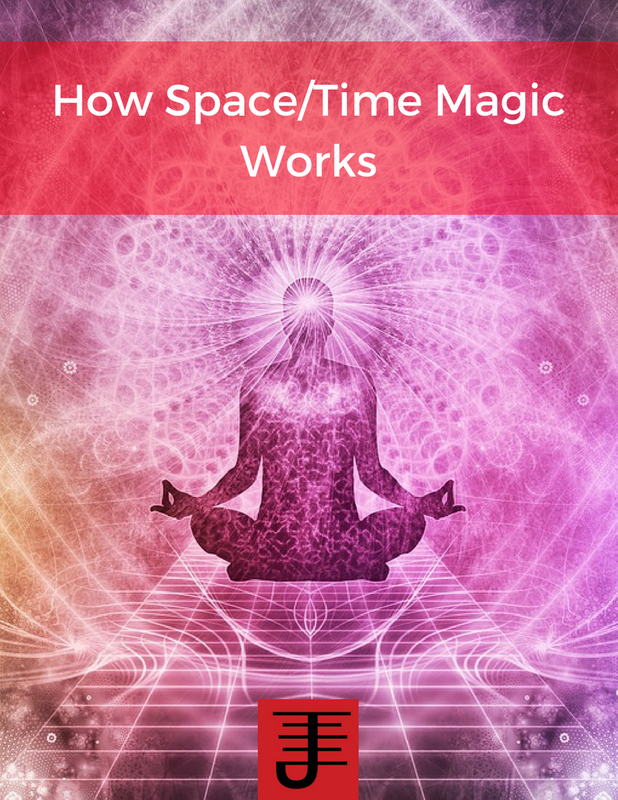 The cost is $60, and what you'll get is a free chapter of Inner Alchemy and a free chapter of my upcoming book Neuro-Space/Time Magic, as well as recordings of our class and access to a members only site. I'm working on chapter 5 of the new book today, which deals with neurotransmitters, and neuro-physiology, and how the magician can work with neurotransmitters, cells, etc., in order to induce change in the magician's identity. I recall once a conversation I had at a campfire when I was speaking at Gathering of the Tribes about DNA, cells, and magic. One of the people said that he thought I was making mountains out of molehills, but as I've continued to explore the connection between neuro-chemistry, magic, and now identity, I find that it has opened entirely new vistas to consider, and also a healthier relationship with my body. As we continue to learn more in general about the universe, it behooves us to take that information and apply it meaningfully to our lives. To me, applying it to magical work makes perfect sense, because with magic we can not only learn the information, but actually interact with it, and that's what magic is about. I know I've written about that before in my blog, but I think its such an important principle of magic: interaction. And I don't think you can really know anything until you've applied it to your life and interacted with it meaningfully. So for me, really understanding neurotransmitters and neuroscience hasn't involved just reading about it, but has involved exploring the soundness of the information via magic. Don't ever let anyone discourage you from being curious about exploring something you've learned. Over the years I've practiced, I've had a number of people try to discourage me, telling my ideas were fluffy, or that I was overthinking it, or any number of other things. If I had listened to those people I don't think I would've written any of my books or had as many of the experiences I've had. Many people will try to tell you how to do magic, how to live life, and all kinds of other, often unsolicited, advice. Don't listen to them or let them stop you from trying something new, with or without magic. We learn best by experience. Magic, as a process, and a way of applying information to life, provides each person the opportunity to genuinely learn and explore their own place in the universe. That's the single most important lesson I've learned about magic. So go out and learn and experience and be curious with your magical practice and with your life in general. Make mountains out of molehills, because what you might discover is something other people will overlook in their haste to go where others have already gone. Arginine showed up as a red skinned person. I got a symbol of two V's connected by lines. He told me was useful for helping with the circulation of blood and reducing stress, especially for circulation for the internal organs. I've worked with Arginine before, a few years ago, and I did find it useful for lowering stress and developing better circulation. Testosterone showed up as a brash noble, the symbol was a sword (how phallic). The sensation of working with testosterone was centered in the testes and there was a sensation of libido rising as well as the feeling of "maleness" for lack of better word. Phenylalanine: Appeared as an Emperor. He explained that he provides information and instructions to other neurotransmitters. He's one of the more common NT's and can cross the blood-brain barrier. He showed me a network and his role in that network was that of an overseer of sorts. Epinephrine otherwise known as Adrenaline appeared as a yellow cloud with flashing eyes. He explained how he stimulated the body, and how pain and other sensations could activate him and help him activate the body to handle whatever needed to be experienced. My partner Kat also had some intriguing experiences. She's going to start posting on here as well. This is an excellent beginner primer to Western Alchemy and its tenets. The author does a good job of presenting and explaining the symbolism of Western Alchemy, and the relationship of the planetary and elemental energies to alchemy. More importantly, he emphasizes the importance of doing internal work and explains how Western Alchemy can be used for internal work. This is an excellent starter book for anyone who wants to learn about the fundamental basics of alchemy. I had an astrology reading done the other day. Given the recent changes in my life, I thought it might be useful to get an idea of the planetary influences I was dealing with. Appropriately enough, what I learned was that Saturn is playing a fairly role in my life right now. It's appropriate because of the time magic aspect that is rather significant to my life right now. Of particular note as well was that this particular influence of Saturn signifies a building period in my life, a period of creation. This makes sense to me, actually. The last five years I've spent cleaning my life out of my own issues and dysfunctions. Since switching to Time, I've felt that focus shift from purification to building something new. In someways, even the year in emptiness saw that, with the focus on my business, but the last couple of months has seen me actively working on what I would consider to be a new approach to my spirituality, and to my life overall. It was an insightful reading and confirmed a lot of details for me about the circumstances in my life and where I'm going with it. The divorce was really the final purification, and consequently in every way right now I am free to rebuild my life. I must say I am actually happy about that and look forward to seeing what I can do with it. In other news, I've been reading the Hidden Brain by Shankar Vedantam and have found the consequent insights about how the unconscious influences the conscious mind to be very useful in understanding situations that have occurred in the past, as well as present situations. I see this unconscious influence in how people will indulge in what are ultimately dysfunctional relationships because of cultural and social pressures to fit a certain image. It also confirms some ideas I have about identity and how it is shaped. I've actually started writing my next solo book on identity and magic. I'm only two pages in, but I'm putting in a bit of time each night, to keep motivated and focused. And my final thought is of love and how toxic love as a cultural concept can be. Love doesn't cure all, and sometimes, many times, it traps us in situations that we'd be better off leaving...or rather the cultural beliefs about love trap us. Book Reviews: Grammar for the Soul by Lawrence Weinstein While not a typical book that one might associate with spiritual techniques, this book proved rather intriguing because the author examines how punctuation, tenses, clauses, passivity, etc is used in language to communicate and also empower an individual. 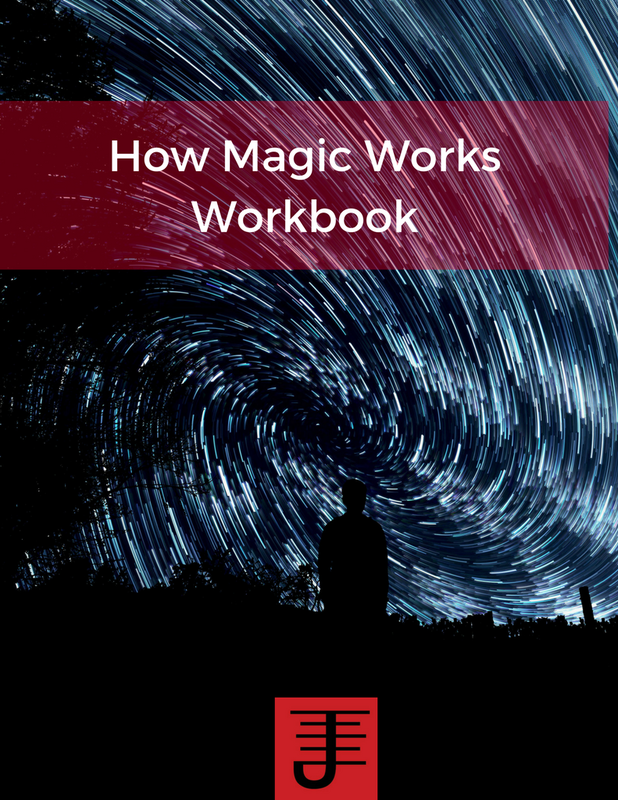 As someone who consistently is interested in exploring the connection between language and spiritual techniques, I also found this book useful for considering how I could not only improve my writing, but also improve the efficacy of my magical workings when it came to using language. Each chapter is only a few pages long, but the author manages to include a lot of information as well as samples for how grammar can be used to empower and communicate, as well as create personal change. The author's narrative is friendly and approachable. I didn't feel lost in a sea of grammar rules. If anything, I felt that I could easily navigate grammar's laws and use them to my benefit, both for my writing and my sense of self. If I have one quibble with this book, it's that the author didn't include exercises for the reader. While the examples he used were illustrative of how to improve one's writing skills as well as how to use writing to effect personal change, the lack of exercises can keep the reader from realizing the book's full potential, unless they are already active writers. That said, I'd give this book a 4.5 out of 5. This book was probably the most fascinating book I read about neuroscience and that's saying something since I find all of them fascinating. In this book the author explains neuroplasticity and how it continues to work in the brains of an adult as well as a child. 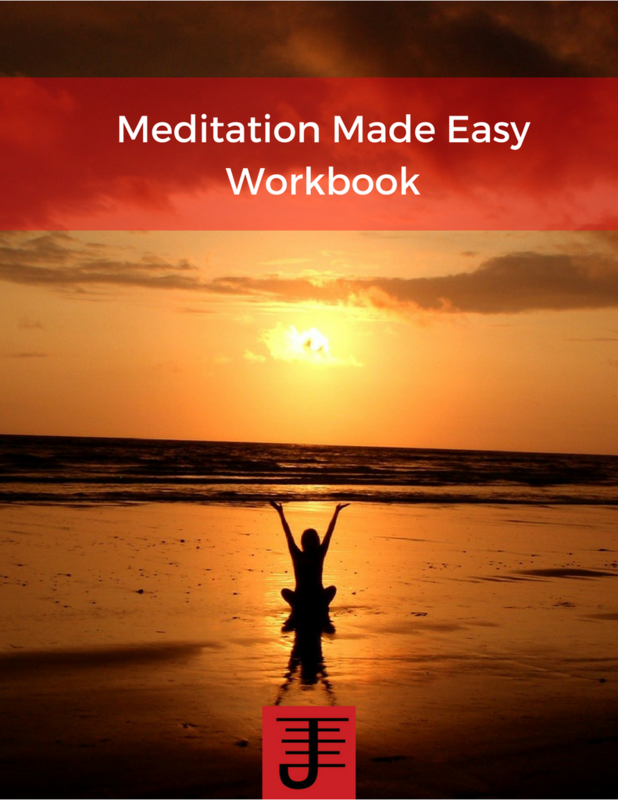 The author also reviews many of the neuroscience experiments and projects done by various people as well as how those projects have confirmed the efficacy of mindful practices in controlling our habits and thoughts. Still what I came away with is that emptiness can be worked with...not just felt but worked with, which will make the oncoming elemental year very interesting indeed. Something Bill Whitcomb turned me on to recently is Facial Action Coding (FACS). It's a coding system that attempts to taxonimize human facial expressions (just imagine the correspondence charts with that!). For me this is interesting, because I see some related threads in the neuroscience works I've been reading in terms of how facial expressions have been used in experiments with emotions. Add in, what I consider to be some potential for magical work via the usage of facial expressions, in terms of invocations or for identity work and FACS could have some pretty cool applications. Now what's really interesting though is when you can combine posture and gesture into something like FACS. To some degree we do this already on an automatic level, but of course my interest is on a conscious level...and we can thank Pascal Beverly Randolph for some suggestions toward that. In his book Sexual Magic, he discusses a concept called Posism, which is a method where you use body language, gestures, and postures as a way of embodying a concept or emotion you want to work with magically. You can see some of his stage magician background with this technique, but I'd be interested in finding out if he was influenced by 18th century rhetoric schools which taught rhetoricians poses and gestures that could be used to evoke emotional responses from their audiences. For Posism to work the magician creates a mental state which s/he associates with the gesture. The idea is that the gesture then creates the thought, which in turn acts as an influence on both the magician and the environment around hir. Sounds an awful lot like NLP anchoring, doesn't it? Actually you can probably base some of the influence of ritual poses in Western Magic on Yoga, but also PBR's Posism techniques. In anycase, Posism, combined with NLP techniques and FAC might provide some intriguing possibilities in terms of creating different emotional states and other altered states of consciousness through the use of body posture, gesture, facial expression, and of course anchoring. I don't know enough about FACS yet, but I've started using Posism and NLP for certain engagements and it's proving helpful...so when I learn more I'll be sure to update. I'm reading The Emotional Brain by Joseph LeDoux. It's a fascinating book, which so far has mainly looked at how psychologists and neuroscientists have tried to explain the role of emotions and where emotions reside in the brain. What I find rather interesting is that LeDoux argues that the notion that the emotions are based in the Limbic portion of the brain is inaccurate...and the reason I find this interesting is because if this was true it would torpedo the Leary-Wilson eight circuit model of psychology that many an occultist refers to, which is at least partially based on the idea that the Limbic portion of the brain controls the emotions. In fact, where you get your reptilian brain, mammalian brain etc is from that concept that the emotions reside in the limbic portion of the brain. So if LeDoux is correct (and I imagine as a neuroscientist who has spent a good portion of his career focused on exploring the role of emotions in neuroscience that he might at least have an inkling of what he is talking about) the eight circuit model might be in need of revision. And this is not such a bad thing really, because the eight circuit model is as much a sacred cow for some occultists as Crowley is for others and challenging that sacred cow is much needed. One of the many reasons I decided to start reading up on neuroscience was to get a better idea of how contemporary science understands the workings of the brain. I've never found the eight-circuit model wholly satisfying, particularly because it seems to compartmentalized and rigid for my tastes. While I think it can offer a better model for understanding the psychology of one's internal workings than say Freud, it still seems to overly mechanize how it all fits together. And what I've found looking into neuroscience IS fascinating because it provides a unique view of the universe that is a human body, and offers aspiring magicians a different medium to explore magic in. When combined with psychology it can also explain some of the mental disorders people can experience, as well as offer a potential way to heal or mitigate those disorders via medication, but also I think through magical practice (as I've discussed in some depth in Inner Alchemy). Of course a lot of the thrill is what still can't be explained...mysteries abound, and where there's mystery, there's magic. Anyway back to the eight circuit model...a lot of it is based on neatly compartmentalizing what part of the brain is the Reptilian brain and what part is the mammalian brain etc. In fact there's a lot of categorization that occurs with the end result being behaviors mapped out like correspondence tables to the different circuit types. And y'know on the one hand that is an awfully handy system, when you can say "That behavior is the first circuit acting out" It has its uses to be sure...and it can provide a useful model for diagnosing behaviors, though not necessarily a model for changing said behaviors. And while knowledge can be good, application of that knowledge is essential to making it useful when it comes to manifesting significant changes in behavior. And that's where the other hand comes down, because the eight circuit model is just one model among many and yet curiously those other models are seemingly ignored much of the time (though NLP and memetics are becoming increasingly popular models for the occult movement). I think if we can balance the eight circuit model with other ways of knowing...make it one among many, it'll still shine, and in fact might prove a better model when it can be intermixed with other models and consequently practically applied (something which Antero Alli does). As I continue to read up on neuroscience and apply my magical practices to it, I've increasingly become convinced that the psychological models that are used in occultism need some substantial revision, partially on a bio-genetic level, and partially just to keep up with the current studies in psychology and related disciplines. I've some half-baked ideas of where some of this revision needs to occur (for instance considering the role of identity in magical acts), but as I continue to explore, experiment, and research I will post more about where I think some of those revisions could be applied. Certainly it's proving to be an interesting journey so far in terms of considering just how much we have yet to experience the miracle of our own bodies, let alone what else is out there.